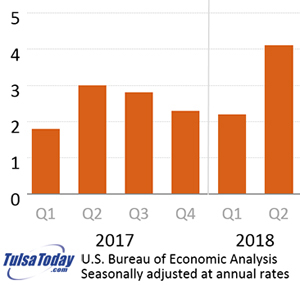 Released today the Bureau of Economic Analysis officially reports that the real gross domestic product (GDP) of the nation increased at an annual rate of 4.1 percent in the second quarter of 2018. In the first quarter, real GDP increased 2.2 percent (revised). 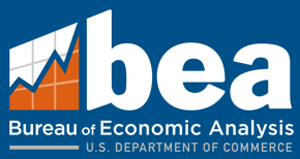 The Bureau emphasized that the second-quarter advance estimate is based on source data that are subject to further revision. The “second” estimate for the second quarter, based on more complete data, will be released on August 29, 2018. The increase in real GDP in the second quarter reflected positive contributions from personal consumption expenditures (PCE), exports, nonresidential fixed investment, federal government spending, and state and local government spending that were partly offset by negative contributions from private inventory investment and residential fixed investment. Imports, which are a subtraction in the calculation of GDP, increased. Click here to read the full report from the U.S. Bureau of Economic Analysis. President Barack Hussein Obama said there was no way the economy would ever again be this robust. He lied. He said manufacturing would never return to America. He lied. President Obama believed government command and control of resources and economic means would create a socialist paradise in America, but today in Venezuela under that form of government the richest nation in South America is collapsing with an estimated 482,153 percent inflation rate forcing their people to hunt rats to prevent their own starvation or flee the nation. 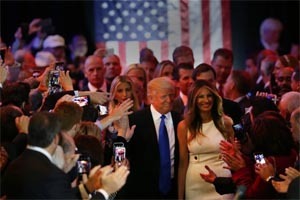 President Donald J. Trump understands that free people active in free enterprise within a free market under the Rule of Law will prosper all. President Trump actually loves America and contrary to reports featured in opposition media, Americans love him. This entry was posted in National on July 27, 2018 by admin.